Microsoft is listening to the Insider, and we are counting on the continuous improvement of Windows 10 pending the Anniversary Update. 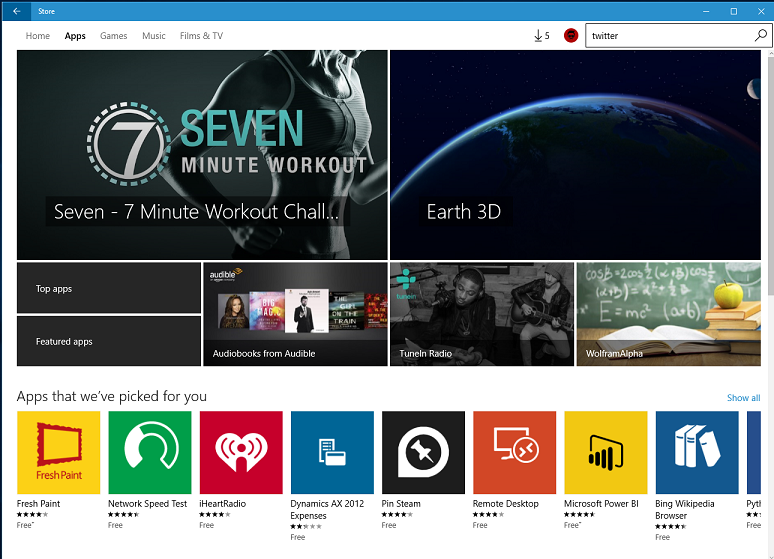 Today leaked images shows that Microsoft is Redesigning Windows Store, more precisely in the user interface, to make it more enjoyable. We can immediately notice a different layout of the Home and in general sections, App and game elements in the foreground, in fact are more visible. There was also a review of the screens of individual apps, plus the addition of a cover photo, immediately catch the eye the date of issue and the size, as promised long ago.